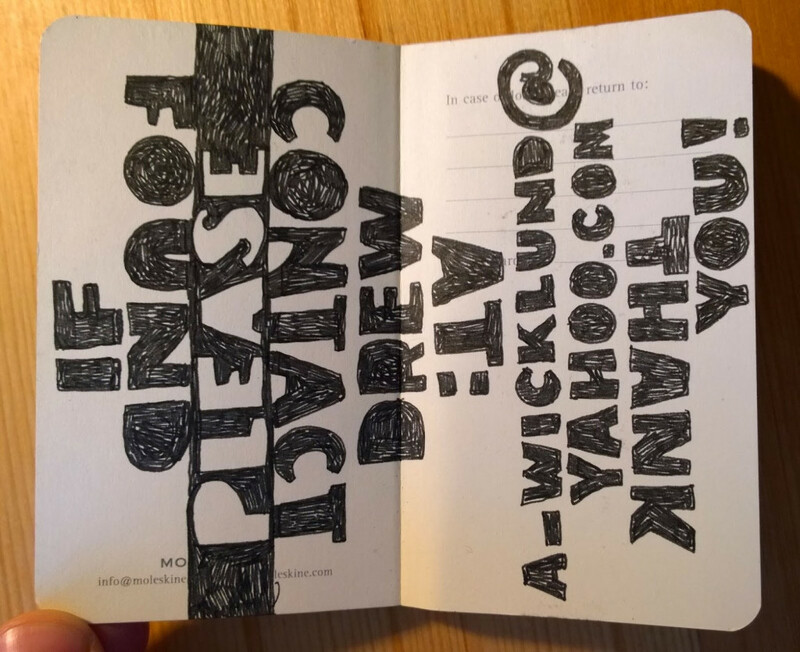 Andrew Wicklund is a Seattle-based graphic designer who freely admits, “pen and paper are my addiction.” His sketchbooks were in full swing during a worldwide year of travel a couple of years ago. I asked him to open his sketchbooks and tell us a bit about how he uses them. PLUMB: What kind of drawing materials? ANDREW WICKLUND: When I’m traveling I always carry Uniball Vision pens (love the waterproof ink) and usually a couple of Sharpie pens too (they’re especially good on planes because they won’t explode). I also have a small travel set of watercolors that are part of my travel kit. And every now and again I’ll throw in some random colored pens or markers just to mix it up. But all things said, Moleskine and Uniball pen at ALL times; the rest varies a bit. PLUMB: What do you use the books for? ANDREW WICKLUND: I’ve drawn since I can remember—without any real use to speak of. Though in hindsight I’ve found them to be nice resources that I can refer back to for travel recommendations for friends. And lately I’ve been working on putting together a series of “I Drew” travel books that include both my photos and drawings from my 2010-2011 13-month trip around the world. The travel books are a daily account of what I did, who I may have met, what I visited, weather, food, etc. 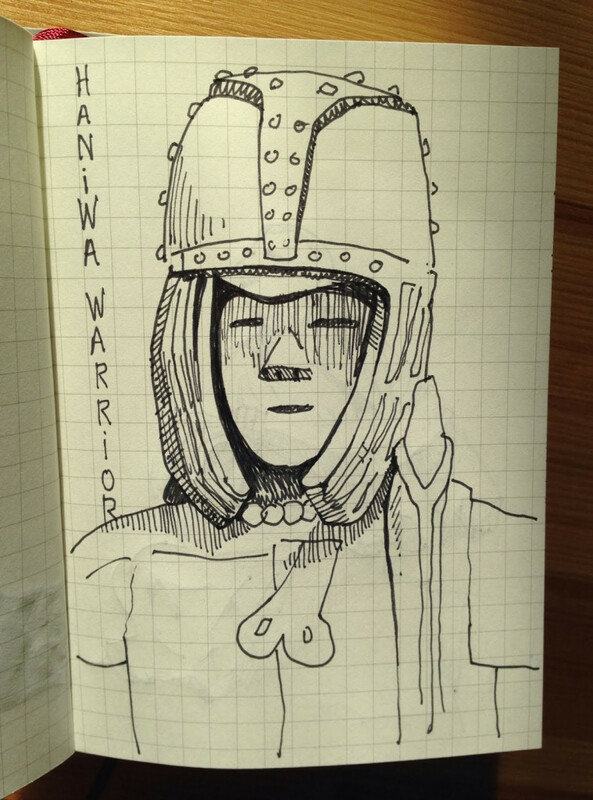 My “everyday” journals are a mix of everything: work-related sketches, to-do lists and random sightings that I doodle. ANDREW WICKLUND: I will often scan favored images as a bit of a digital archiving thing (though who knows what will ever come of those scans). I keep the books close-by and refer back to them from time to time for inspiration, reminders, or to simply reminisce. PLUMB: Have you lost a sketchbook? ANDREW WICKLUND: No, thank god—though I’ve come close a few times. For the last several years now I’ve made it a ritual to start each book by including my contact information on the inside front cover. Here’s a link to some other examples. PLUMB: What are your ideal work conditions? ANDREW WICKLUND: I try to be flexible and be open to an “anywhere, anytime” mentality. Pubs, bars, and cafes are probably my favorite places to chill out with a beer and do a drawing. That’s pretty much my heaven. Also while in transit or waiting (aka killing time): subways, trains, buses, and airports. Or in especially noteworthy or beautiful places that just beg to be captured! PLUMB: What’s the difference between what you draw in a sketchbook and your other work? ANDREW WICKLUND: I do graphic design for income. It’s a similar but different creative outlet that involves a lot more problem-solving thinking, so that sketching is a bit more systematic and rigid. My personal sketchbooks tend to be more stream-of-thought or thoughtless altogether. They’re my place to take off the handcuffs and do whatever I want. PLUMB: Why do you draw? ANDREW WICKLUND: I draw because it’s a tremendous release. It’s my meditation. And I want to inspire people to settle into a moment and soak it all in. Pen and paper are my addiction.